We service and repair all vehicles including Citroen and Suzuki. Your mechanic arrives within your specified time window and carries out everything on the spot. We do not make unauthorised repairs and you’re kept in the loop with what your vehicle needs and why. In recent months we have received over 24 positive reviews from our happy in the Brisbane North. Book a mobile service or repair today for wherever is the most convenient location and time for you, and have one of our 22 in Brisbane North attend to your vechicle today. I have used Gerrard for a few years now and more than happy with his professionalism and I have used Gerrard for a few years now and more than happy with his professionalism and knowledge.. The plan is to continue to use Gerrard for all future services. knowledge.. The plan is to continue to use Gerrard for all future services. Your mechanic will arrive at your preferred location with everything they need to service your vehicle. When we say ‘mobile mechanic’ we really mean it. No matter the make and model of your car, we guarantee that the professional who arrives at your job will have what they need to complete a full service, on the spot. Most recently, our mechanics have commonly serviced Holden, Toyota and Ford. All vehicle types are serviced on location so there’s no need to have anything taken into a workshop. Our most recent services in your area have included Audi, Mazda and Mercedes. Fully equipped mechanics mean that whatever is required for your vehicle is available quickly. We use only the highest quality parts like oxygen sensor, leaf springs and fan. Let us come to you. The easiest and most convenient way to ensure that you keep your service history up to date and on top of your car repairs is to have everything you need done at home, the office or wherever else you happen to be. 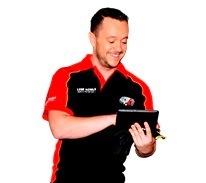 Our mobile mechanics are attending Ningi, Caboolture, Murrumba Downs and Burpengary. We are everywhere and everywhen you need us to be. 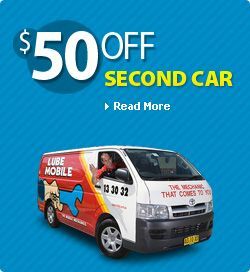 Lubemobile is Australia’s #1 fleet of mechanics servicing and repairing vehicles all over the country with over 800 vehicles attended to in your local area alone over the last 3 months. Regular vehicle services and jobs around your area have included Log book servicing. Our specialists have what they need to complete a full service and repair at your chosen destination including tyre replacement and specialty tyre related repairs, fixing noisy bearings and starter motor replacement.